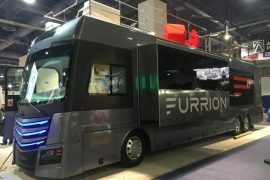 Rock stars have their tour buses, those huge luxury coaches. Though he is a country star, Willie Nelson is a legend in traveling in a rock-star bus. 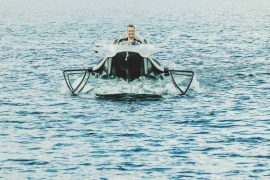 German tuner Brabus has come up with a new touring vehicle perfect for rock-star entrepreneurs as well as entrepreneurial rock-stars. 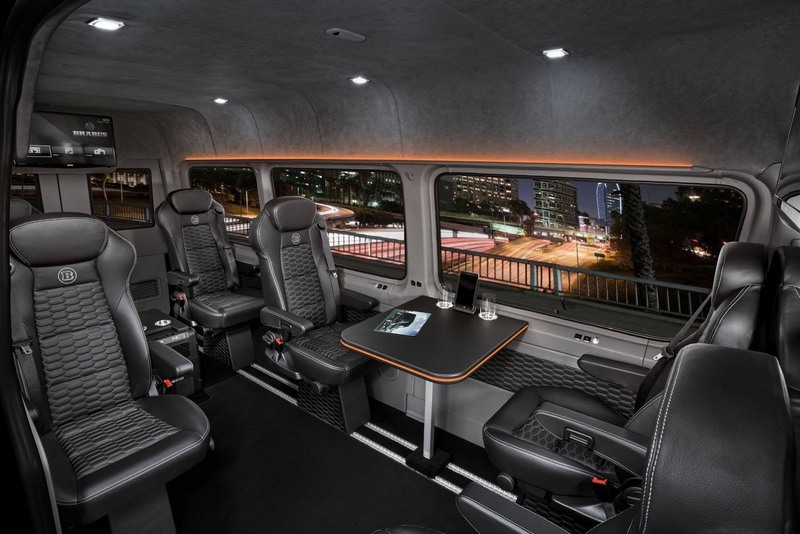 They have given the Brabus VIP Conference Lounge treatment to a Mercedes Sprinter. 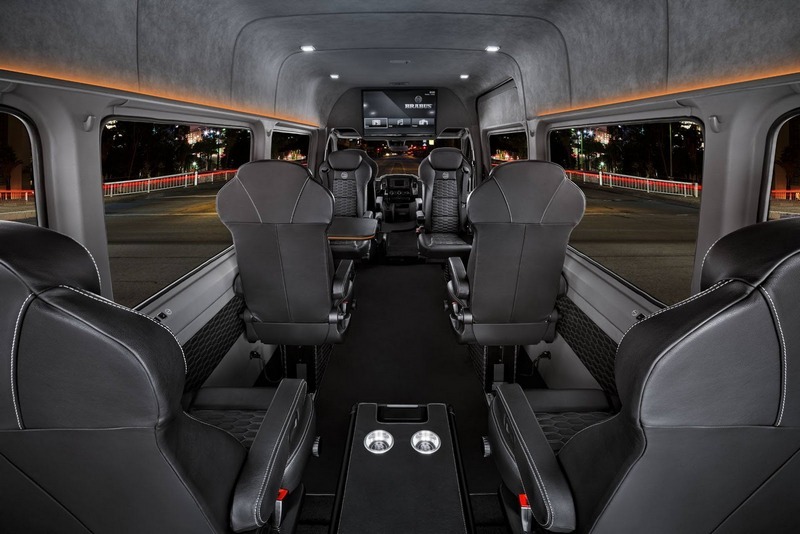 The new model officially named Brabus Conference Lounge Sprinter, costs a small fortune – at € 224,910 (about $250,000). You and I probably need not go there. Don’t be fooled by how it look on the outside and think there’s not a lot of fancy on the inside. 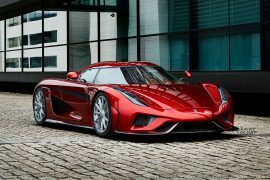 The exteriors feature a front grille, wheel arch attachments, logos & lettering, 18″ monoblock wheels, painted bumpers, planking and tinted side-markers. No doubt these are elaborate enough to attract lots of eyeballs. 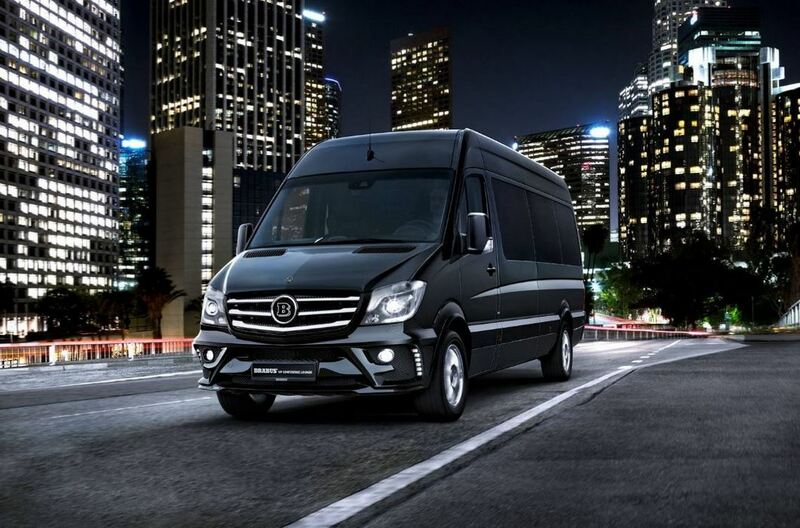 Built on the long-wheelbase version of the Mercedes Sprinter, this comes filled with luxuries an always on the move businessman might want and need. 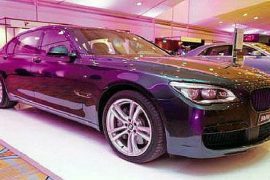 They packed this with a host of Brabus Special Equipment including leather and dark gray Alcantara. Long list of other special features consist of – seat heating for all three rows, Alcantara roof liner, 6 USB ports, Brabus Conference table, custom infotainment system, 2 TVs mounted on the top partition wall, 10″ tablet, high-speed LTE router, media player, Apple TV 4th generation, BluRay Player, passenger air conditioning unit, ambient lighting and a fridge. 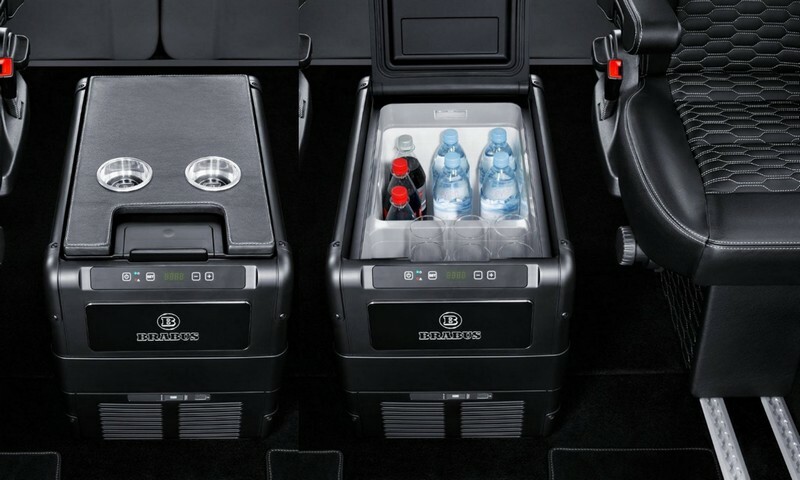 All upmarket stuff are in addition to standard equipment that is part of the Brabus Conference Lounge Sprinter. 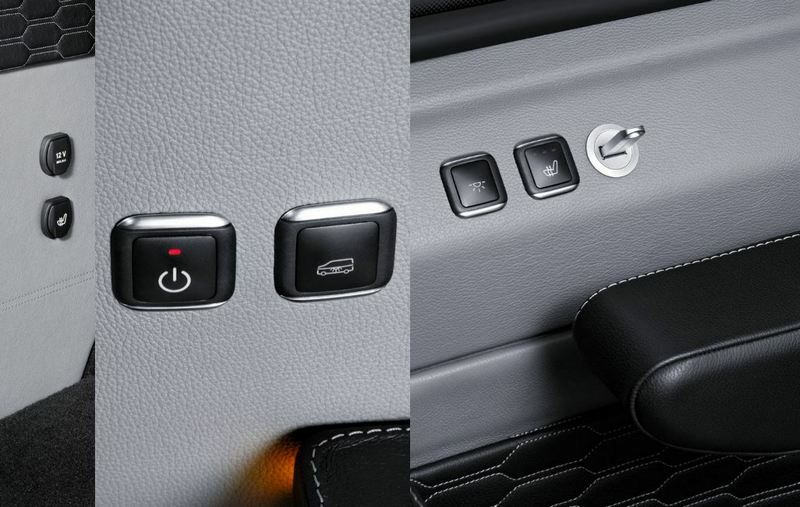 Standard features include daytime running lights, bi-xenon headlights with cornering light function, adaptive brake light, lane keeping assist, blind spot assist, collision prevent assist, air suspension, and heated seats. If interested in seeing more customized versions of luxury wheels head over to Brabus.